Available in 5 convenient sizes and 5 colors, including Crystal Clear which keeps AkroDrawer™ contents highly visible. Offered in 12" or 18" depths to work with compatible shelving. Easy to label and color code inventory for quick identification of parts and supplies. Drawers can be stacked to optimize space. Wide front handle for easy gripping when AkroDrawers™ are loaded or contain heavy contents. 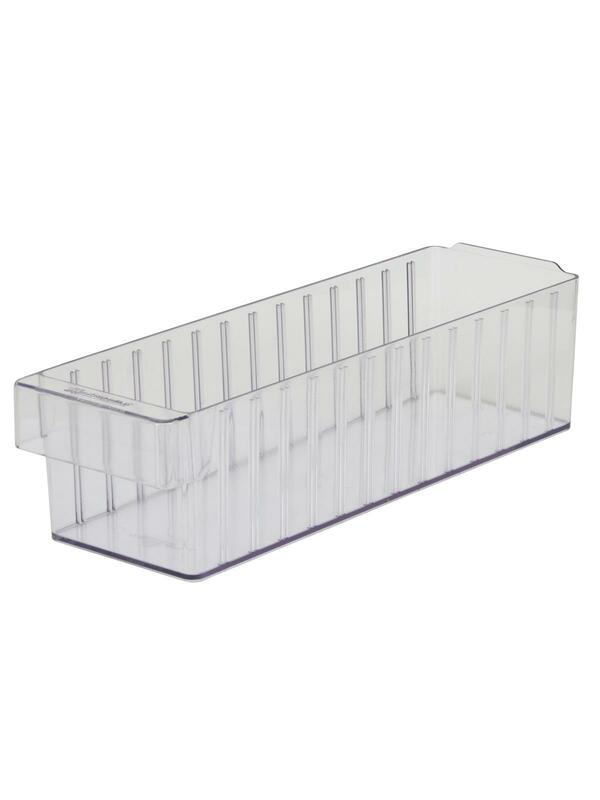 Can be used with available shelving, racks, mobile carts or can be used by themselves. Sturdy back stop tab ensures AkroDrawers™ can hang securely from shelves. 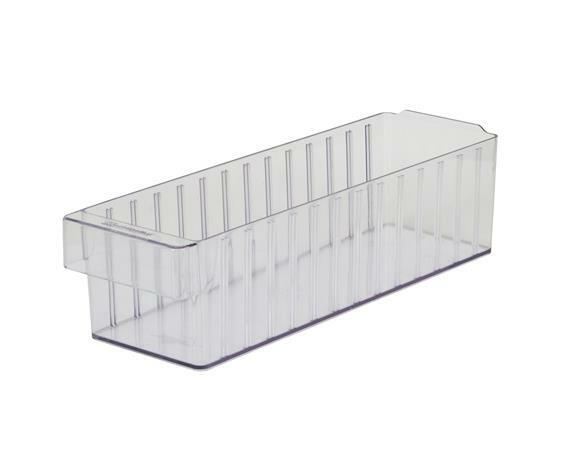 Dividers are available to keep contents neatly separated in drawers. Available in Red, Blue, Yellow, Gray and Crystal Clear. FOB Shipping Point. See Related Items tab for AkroDrawers™ Dividers. 17-5/8 x 5-9/16 x 4-5/8"17-5/8 5-9/16 4-5/8"